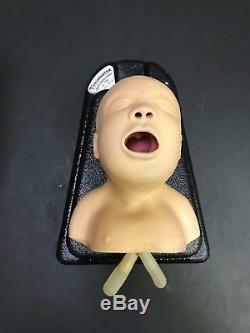 Like new, Life-Size baby model for Nurse and Medical students training. Great way to make yourself more comfortable with Intubations. 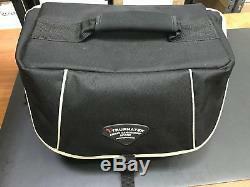 Comes with a handy carrying case. Great for teaching, demonstrating the use of pediatric medical equipment. Perfect for Medical conferences or Teaching programs. 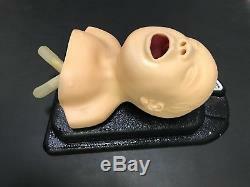 The item "Baby Intubation Head- For EMS, Emergency, Nurse CRNA Training-Life-size" is in sale since Friday, March 02, 2018. This item is in the category "Business & Industrial\Healthcare, Lab & Life Science\Medical Specialties\Emergency & EMT\Training & Manikins". The seller is "pastamamma01" and is located in Alpharetta, Georgia. This item can be shipped to United States.